Iowa Senator Joni Ernst says she plans to hold a field hearing for her Environment and Public Works Committee on how the U.S. Army Corps of Engineers handles the management of water on the Missouri River. 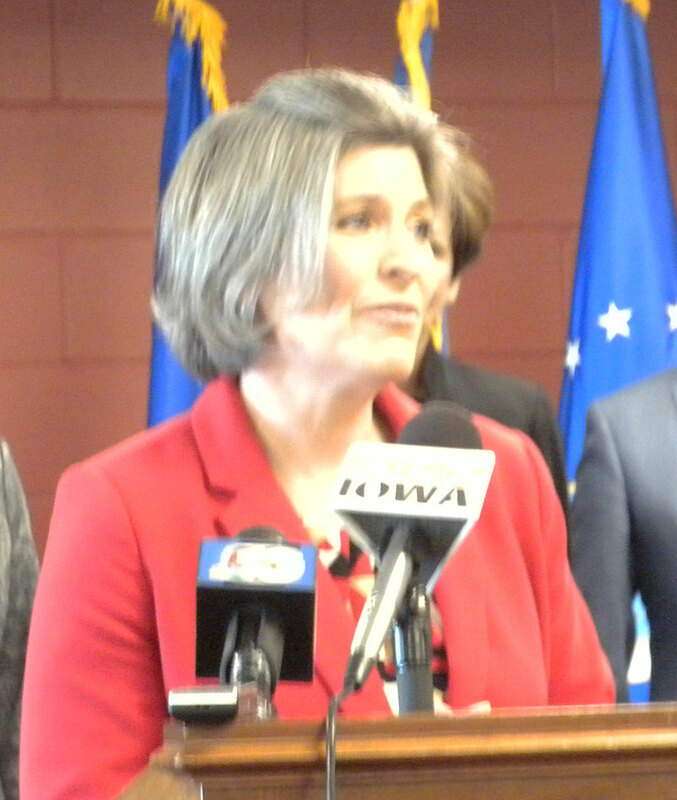 Ernst, who is a retired National Guard soldier, says she work some flood duty in the guard, and what has happened in southwest Iowa is the worst she has seen.”I have spoken to the Corps about his. I understand that their job is very difficult in juggling all the different priorities up and down the river — but you know what — human lives and livelihood needs to come first,” according to Ernst. Ernst says the hearing will be sometime later this month. “There is information that we need to do a deep dive into. Find out how the Corps is managing from these various priorities from different jurisdictions, and how can we do better,” Ernst says. Iowa’s governor and the governors of Nebraska and Missouri met with Army Corps officials Wednesday afternoon in Council Bluffs, and said they talked about the same things. The governors plan to meet with the Corps again in three weeks. Ernst made her comments in her weekly conference call with reporters.